The plants of the Aristolochiaceae family attract their pollinators (flies) by exuding a strong smell from their flowers which are typically saxaphone-shaped. When the flies crawl down into the flowers, they are trapped by the hairs that surround the 'mouth' and remain, crawling around, inside the flower overnight. By the following morning the hairs have withered and the flies, now covered with pollen, are able to escape and move on to other flowers and so complete the pollination cycle. Cretan Birthwort is relatively rare and not easy to find. 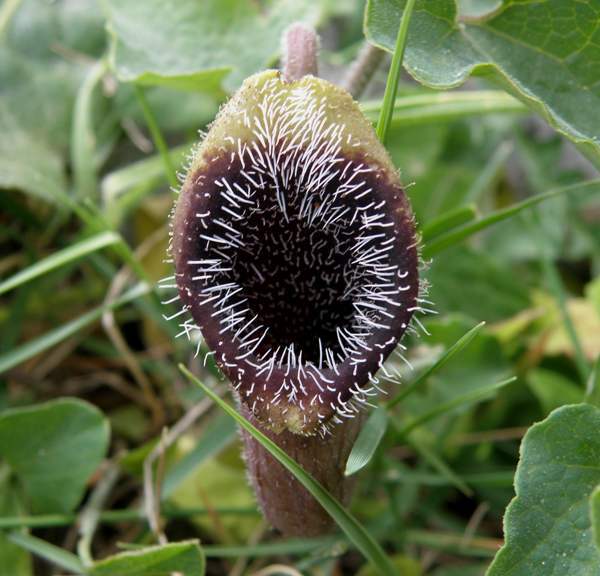 Its habitats are shady and rocky places and the plant and flowers are well disguised by surrounding grass and other plants. 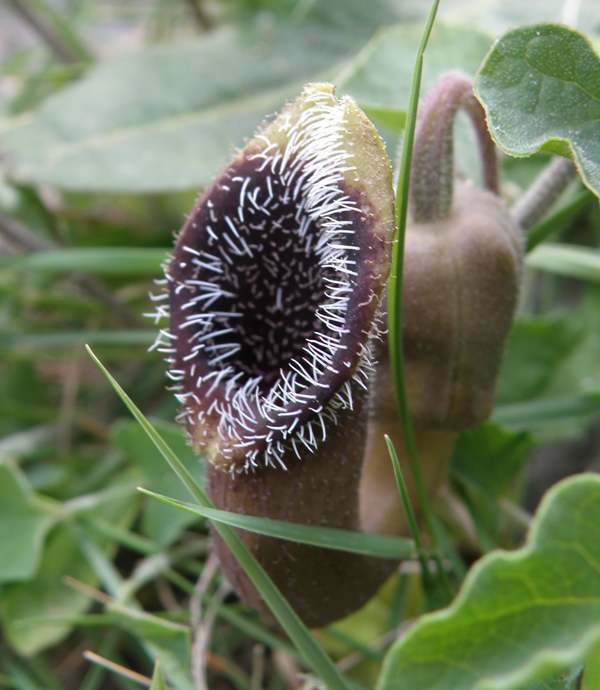 Aristolochia cretica is endemic to Crete and Karpathos. It blooms from the end of February to the beginning of July.